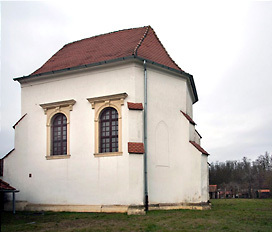 The present St Helen’s Chapel, a former sanctuary of the St Pauline monastery church, is the only remaining portion of the complex established in 1376, originally dedicated to The Assumption of the Virgin Mary and All Saints. 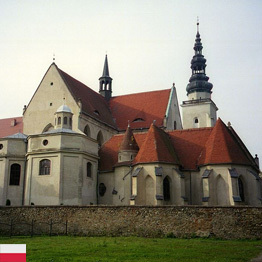 At the close of the 17th century the monastery and the church have been badly damaged in a flame, the sanctuary completely lost the ribbed vault and the roof. 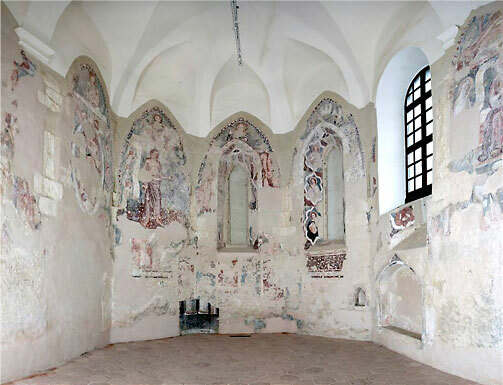 The large restoration contained of a new vault construction on the heightened level, walled up of former two small sanctuary windows and building of two new windows considerably larger dimensions on the south wall. 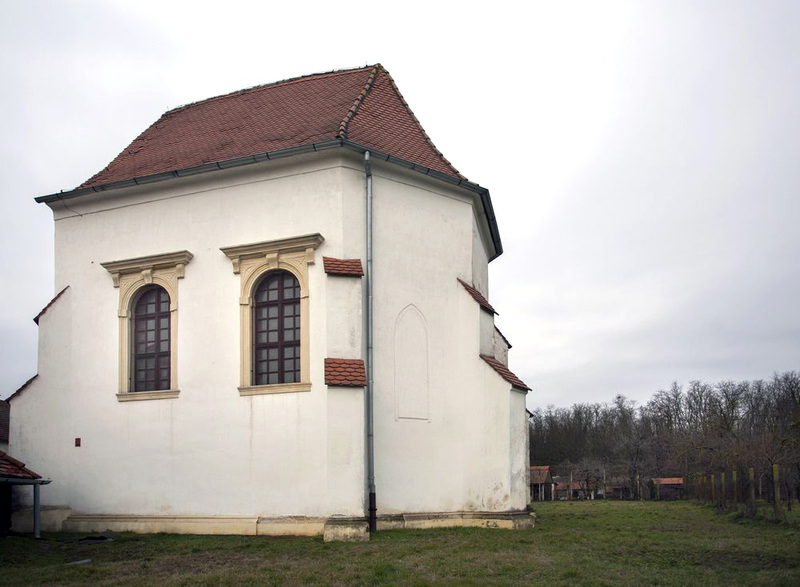 The present St Helen chapel’s appearance is owed to the renovation done after the earthquake in 1880. 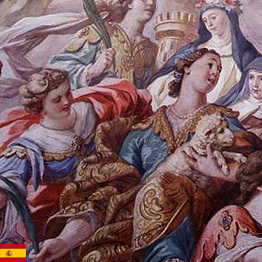 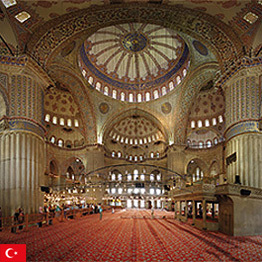 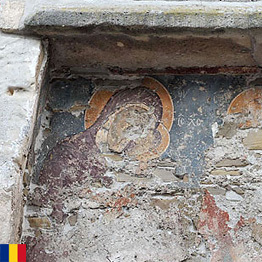 By reconstructions and renovations in the past, wall paintings have been severely damaged, white washed and over plastered. 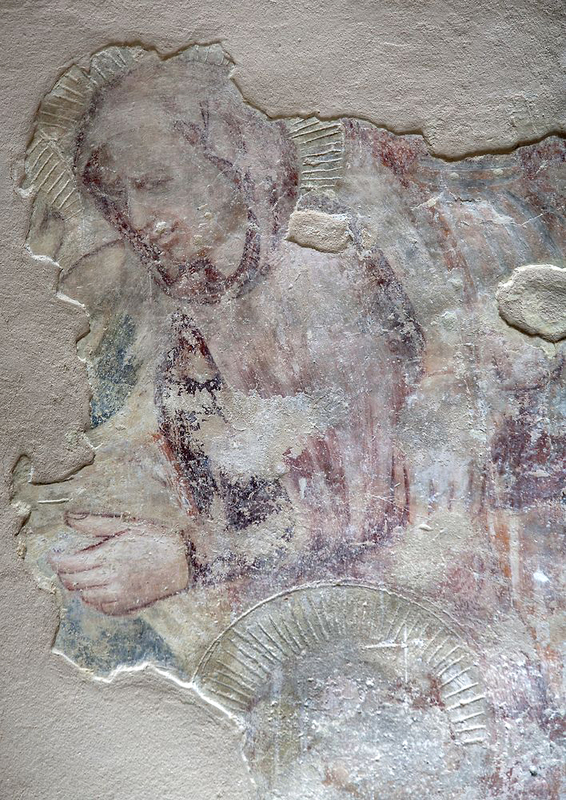 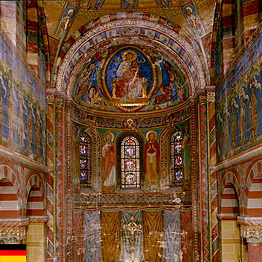 Inner chapel walls carried on fragmentary three paint layers: the first Trecento paint layer in the lower part, the second Trecento paint layer on the walls, upper part, and early 19th century painting on the front wall. 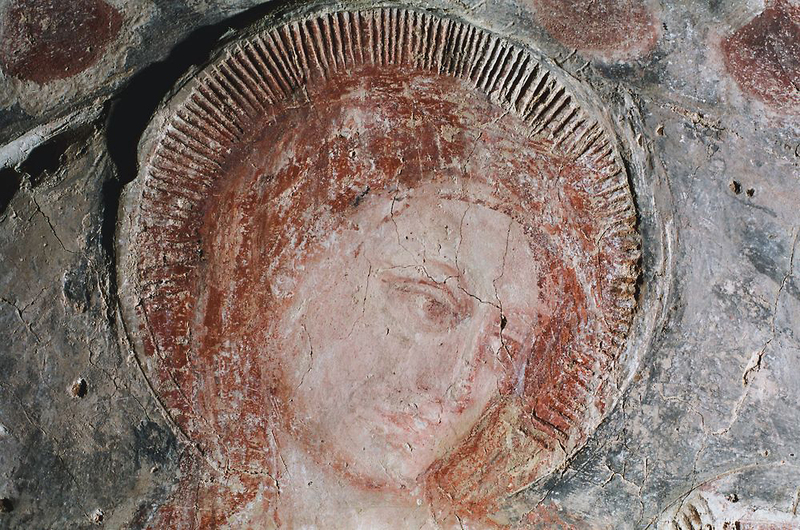 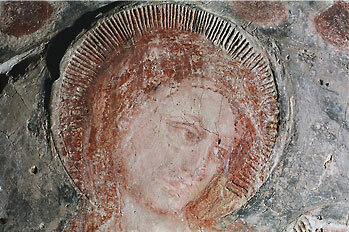 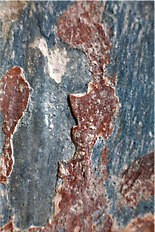 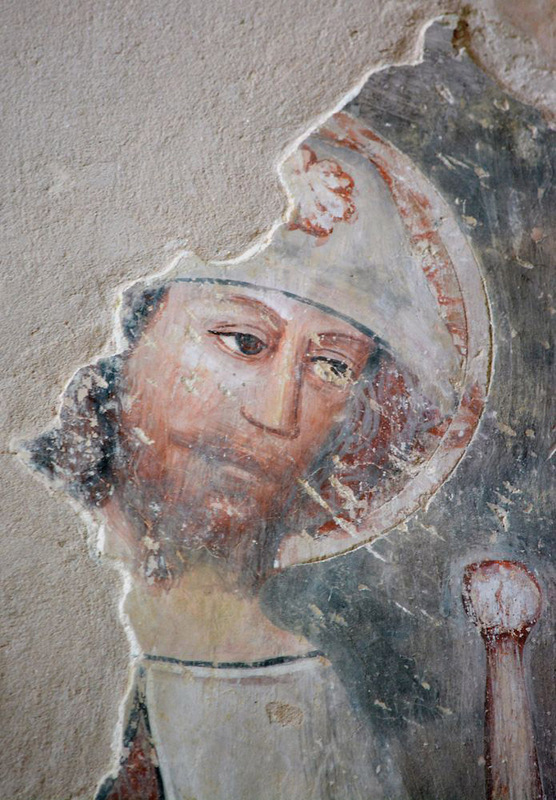 Both Trecento paint layers were done in the concluding quarter of the 14th century and the second Trecento paint layer seems to be positioned down by the still unknown Italian workshop.